The Pangolin is the unofficial name of the MT-21, a Light Armored Vehicle used by Star Force in a variety of ground roles. 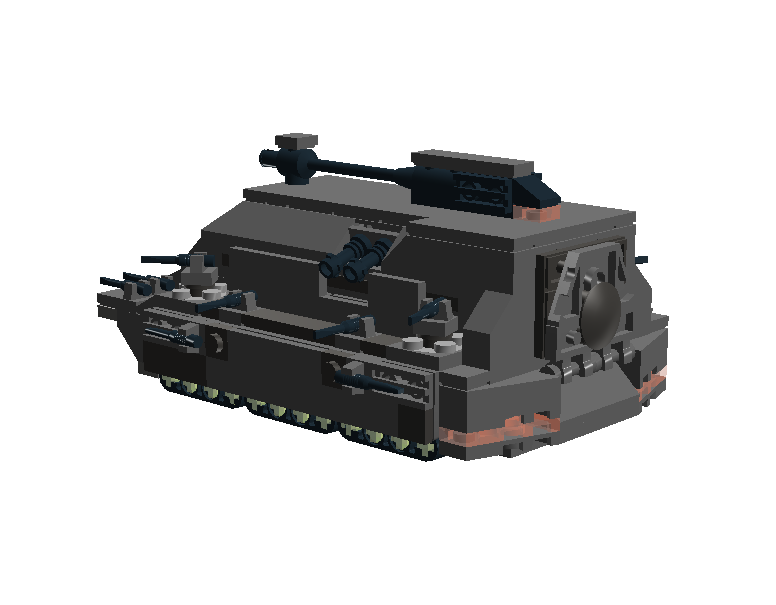 It shares the same platform with the Aven MN-3 Mine Sweeper, though the Pangolin has a lot less armor and several more weapons. 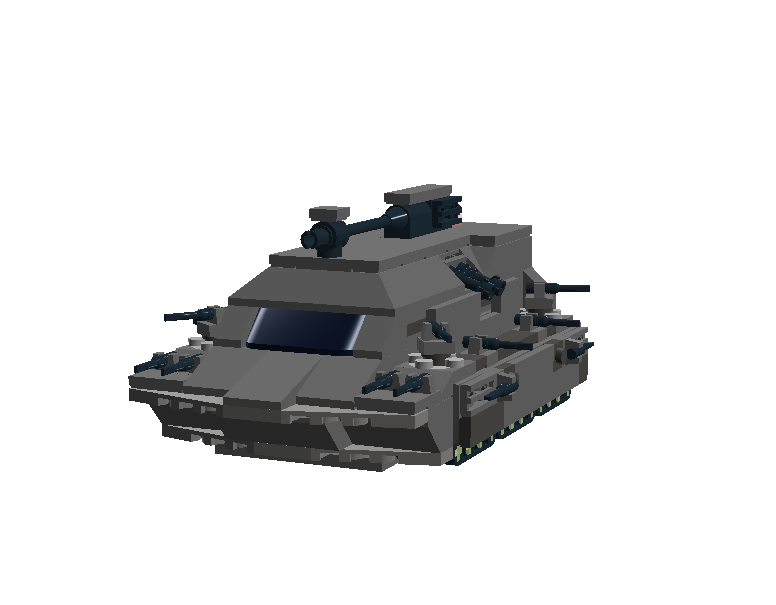 The Pangolin has enough maneuverability, armor, and capable weapons systems to take on anti-infantry roles, but is for the most part useless against any larger, more powerful, and stronger enemy ground vehicles, or anything well-armored really. Think AT-AT. 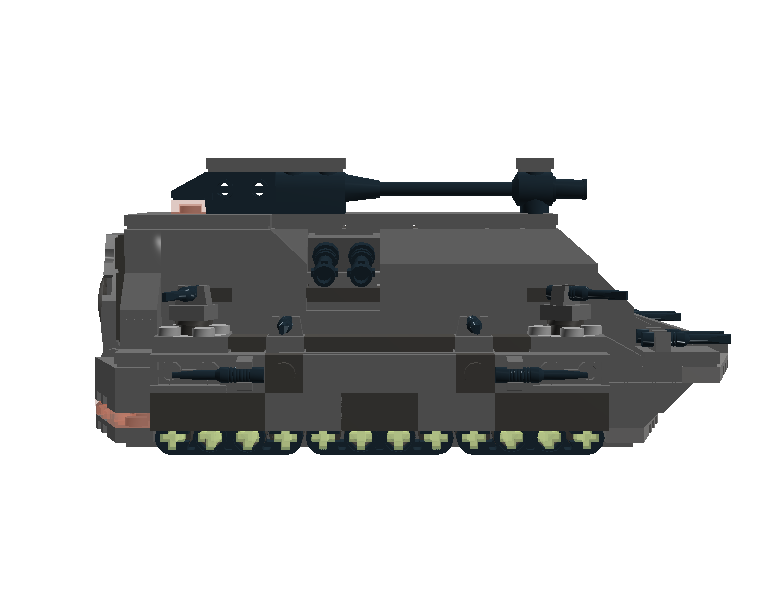 The Pangolin's weapons, while numerous enough to take out a lot of infantry, are quite weak in comparison to the really large guns you can put on a big tank, and are rather ineffective against strong armor. The Pangolin is powered by twelve repulsorlift pods, armored from below and generating some deflector shielding for the unarmored sides. By the way, I'm getting the same bug as Mirage where I can't upload creations to the LEGO Gallery, so no LDD file for now. It reminds me of a mix between my old S-3 Rhino and my new S-3 Grup, with lots more little guns and less big ones like Dino said. 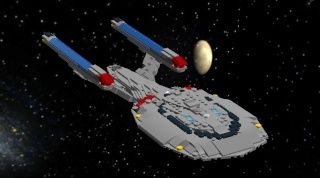 I'ld add some smoke generators/launchers, maybe a rokcet pod or a couple of missiles, and take off lots of those small guns, maybe mount a front one or two that can swivel and a top one that can swivel. @Dino and Mightyman who agrees with Dino: I guess I could try giving it more better weapons. @Ant: Well I was inspired. Ant, it's hardly a tank. It's a light armored vehicle. It looks like a tank, either way, my point still stands. Nice vehicle! 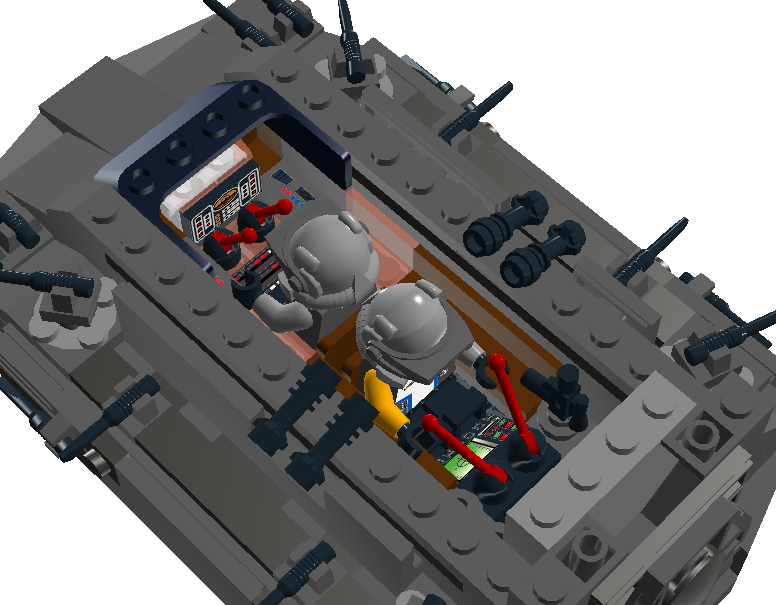 I must agree with Dino and Mightyman though, as awesome as the vehicle is (love the interior btw). Maybe you should add some rocket pods to give it some more punch, but other than that, awesome vehicle!